I am super distracted and can’t say that I even know why. It is not like I have a show coming up or something similar. Yes, Rhonda and I are still working on convention stuff but it isn’t that. Thus, I have no clue as to what the heck is causing my distraction or lack of focus. This, of course, is unacceptable. I have so much work to do as it is the end of the term, which means that I have a ton of grading to do, comments to make on report cards, etc. If that wasn’t bad enough, next week we have final exams, which means that I will have a lot more grading to do. Yippee. Grading is pretty mind numbing and I just don’t want to do it. Yet, I must. There is no choice. Now is the time that I must keep my eyes on the prize. Finish the grading, finish the semester and move on to bigger and better things, like convention planning or preparing a presentation for a conference. I need to focus. Seriously. As usual, I find myself thinking about how music might help me get it together. This got me thinking…are there Duran songs that I might be able to use? I know that this song was taken from a Churchill speech during World War II. My situation isn’t anywhere near as serious but still motivating. I think. What about this one? Would this one work? I kinda like the idea of me getting my work done in “my own way”. Although, I could just be giving myself another excuse so when I take 15 breaks, I could just say that I’m grading in “my own way.” Crap. I need something better. Think, Amanda. Think. And I think it’s about to break.” For sure. Big time. Still there has to be something that is motivating, rather than excuse making or a song that represents how I feel like I’m going insane. Geez. Then, I think about this one. No, that isn’t right, either. While it feels like winter is marching on and definitely this grading is marching on, that isn’t what I’m going for. I need something more to get my grading pen to move. Come on, Duran Duran, I need your help. Too much information? Not sure about that, but there is too many papers, too much grading. Now, my students would say that I have assigned too much work and that it is my fault. No, in all seriousness, most of the work is late work or paper rewrites. I guess I could not accept those…ugh. It is my own fault! I’m so stupid. Where is the Duran song for that?! This one, at least, makes me laugh. All this she wants is to be done with grading. Any idea how to get that to happen?! Anyone? Anyone? Bueller? Finally, I thought of another one! Yes, that’s it! I’ll be the last man standing…or in my case, the last woman standing! I will defeat you evil mountain of grading! Nothing will stand in my way. This last song definitely feels like a reward to me. After all, when my work is done, I can definitely take the pressure off. A few years back, we wanted to do something kind of fun during July and August, and created a 30-day challenge for Duran Duran fans. It is EASY to participate, and we think everybody should, because DD Appreciation Day is in August (the 10th, actually) and this is a great way to lead up to our favorite holiday of the year! Here are the “rules”: Each day, you post the topic of the day as your status update on Facebook, Twitter, a favorite message board or where ever else you’d like, and give your answer. If you want to give a reason for your choice, fabulous. If not, fine. If you’d like to find and post a corresponding YouTube video – the more the merrier! Let’s use the hashtag #2017DDchallenge, and invite your friends to read Daily Duranie and friend us on Facebook/Twitter! If my math is correct – and I hope it is because Amanda and I talked about this yesterday and I can’t remember what she told me to do (she’s on a plane right now so…) – we’re going to start this today. We’ll do one question per day right up until August 9th. Then on August 10th, we’ll summarize the answers we saw, as well as add our own. We’ve changed a few of the questions since we did this last, and we’re kind of curious to see if any answers have changed. We’ll let you know!! Good luck – we can’t wait to read your 30-day challenge answers! Life hasn’t been very fun lately. Work has been overwhelming lately, taking up a lot of my time and energy. If that wasn’t enough, I have stepped up to volunteer, once again, in the big political campaign. While I find what I do valuable and meaningful, there are times, moments, when all I want to do is to step back and have some fun. I do not necessarily need or want fun that lasts a long time, but I relish short, fun breaks. At times, then, I turn on the TV for mindless television, but that doesn’t always do it for me. Lately, I found myself doing a little search for fun online quizzes. You all know the ones I’m talking about. For example, I just took one about how well I know Chicago. According to the quiz, I am an expert! Anyway, this led me to think of all of the Duran Duran quizzes that are out there. I think the most recent one I took was Which Member of Duran Duran Would Be Your Boyfriend. My result? John, of course. That said, if I wanted it to be Nick, for example, I could have catered my questions to ensure the results would say Nick. Which Member of Duran Duran Are You? I loved this quiz, actually. The questions weren’t obvious and the description provided something beyond the usual you are this member because of something superficial. My result? John Taylor. Best line of the description: “You’re a kind and thoughtful person who has been given the gift of charisma, and sometimes you’re not entirely sure what to do with it.” Not sure if that describes me exactly but thought it was interesting. Wonder if John thinks that describes him?! What Do the Duran Guys Think of You? Can You Name the Duran Duran Video? This one featured screen caps of different videos that you had to type the answers. It was timed. I liked this quiz as it didn’t just feature the well-known videos nor did it include the most iconic images. You really needed to know your stuff. There are tons of quizzes out there that taste your knowledge of Duran Duran lyrics. Most of them feature questions with lyrics in which you have to pick what song the lyrics come from. This one had 10 questions and featured obvious ones and less than obvious ones. This one features just lyrics from the song, The Reflex. I liked that I could choose to make it timed or not and that it featured both fill in the blank and multiple choice. That said, there were a couple of errors in the quiz, which was annoying. I can’t be too critical, though. People create these quizzes for fun and I do think it is fun to take them! In fact, if you know of a good one, please pass it on! I have spent my entire day grading as it is the end of the semester and grades are due soon. If that joy wasn’t enough, I have finals to grade next week. It feels never ending and it puts me in a seriously foul mood. This aspect of the job of teacher is what I hate the most. I find myself needing a break and…more importantly, to have some fun! Immediately, I think of Duran Duran and my best friend. The next time that Rhonda and I will be together is in July for Duran Duran. Wow. I have to tell you that July feels a million miles away. I miss my friend. When July comes, we will be together a lot and will feel very spoiled. Right now, though, feels blah. Super blah. Why must my best friend live so far away? Why must we be so busy that we aren’t able to talk as much as we would like? Then, on Facebook, I saw an 80s night event being put on by a local brewing company. It immediately caught my attention! This is exactly the kind of thing that I need right now! So, I shared the event and asked who would be interested. Rhonda was, indeed. Of course, it is not really feasible for her to come. As I thought about this in between grading essays, it came to me! We should do an online party!!! I know that I could use it! I bet she can, too! After all of the recent sadness, I think it might be good for a fan community to remember to celebrate life and to celebrate Duran Duran. We shouldn’t wait to do that until after they are no longer with us, right? Besides, this winter might be the perfect time to spend some time on Duran Duran. It would get fans excited, right? Many U.S. fans have shows coming up! Others in different parts of the world are anxiously awaiting dates. Everyone could use some fun, some time to remember why there is love for Duran Duran, right? Now, of course, I’m putting this out there without even talking to my partner-in-crime. I could be getting myself in serious trouble here, but I think it could be good! I am envisioning a few hours or so online in which a video playlist would be created. People, all over the world, could watch it and comment on Facebook and Twitter like we have done for Duran Duran Appreciation Day or for our birthday. I don’t have a date picked out yet as I will need to schedule with Rhonda. I would also love to see it not just be our party but the fan community’s party. Therefore, we could take suggestions as to what to put on the video playlist. What would people be in the mood for? We wouldn’t decide. You all would. Then, of course, we could maybe come up with a drinking game for the playlist. Maybe, a contest could be created. I don’t know. Rhonda and I would have to decide on all those details. So, what do you think? Would you be interested? Would you be willing to send in suggestions for the video playlist? Would you join us online? Do you like the idea of a drinking game and/or contest? Are you feeling like me–in desperate need of fun and a break? Please, please tell me now! Why am I bothering with this task? I want to be ready for the next set of the “Questions of the Day”. Likewise, after that, I’ll be compiling the results (so far) of the ranking of the songs on the album, Seven and the Ragged Tiger. (Like the photos, this activity is still happening, too. For details, go here.) Why do I take time to do these silly, little activities? There are a variety of reasons, which are not limited to my desire to be inclusive, to keep discussion alive, and to keep Duran Duran in people’s thoughts each and every day. I like to joke that this blog is better than the Post Office as we post every single day, including weekends, holidays, while on tour, etc. We may not always post lengthy blog posts like this one but we do, at the very least, post a question. This question is usually not time consuming as fans just have to pick between two or more options. It is simply a matter of clicking on one’s choice. For people who check in with us, everyday, this question allows them to share their opinions about pictures or songs or videos or whatever we are asking about. This means that those fans are literally thinking about something to do with Duran Duran EVERYDAY. They aren’t just thinking about Duran when a new album comes out or when tour dates are announced. No, this is a daily reminder about Duran Duran. This helps to keep the fandom going, no matter what is happening with the band members and their schedules. More specifically, tasks, like the question of the day or ranking of the songs on the album, promotes discussion as well. Fans have the opportunity to share what they think and why and other fans can react or discuss what is shared. 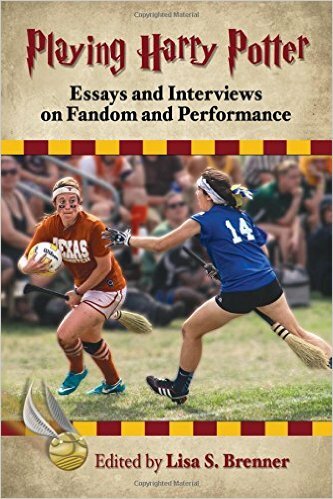 Based on all of my studies on fandom, discussion about what one is a fan of is where fandom begins and is essential for any and all fandoms to exist and thrive. People need to talk about what they like and why. They need to share it with others who also like the same thing. If and when people decide that they don’t want to share their opinions, then, they are stepping back and away from being part of a fan community. Then, they might become just a casual fan, if that. Fandoms can die when too many people pull back and become casual fans. I don’t want that to happen with Duran Duran and the Duran Duran fandom. Thus, I want to provide tasks to initiate conversation, to keep discussion alive. It seems to me that most discussions about Duran Duran happen when albums are released or when tour dates are announced. Every single fan can participate in dialogue surrounding album news. Yet, not every fan can partake in debate about tour dates, presales, tickets, touring, etc. I’m sure, for example, a couple of weeks ago, many fans did not participate at all in any of the discussions about the presale for the North American tour in 2016. Fans who live far away and never could attend a show here in the States or in Canada did not have much to contribute to the discussion. Fans who simply can’t attend shows for various reasons probably did not want to participate much in presale talk. Obviously, Rhonda and I embraced any and all discussion about the upcoming tour. Yet, we never want to exclude anyone. We want the fan community to allow for ALL fans to participate. The daily questions and tasks like ranking the albums do just that. On top of all of those reasons to have daily or weekly tasks, they are also fun. Why be part of a fandom if it isn’t fun?! Join us daily for the question of the day and weekly, for a few weeks, for the ranking of the albums. Also, if you want to share your five favorite group pictures, send them our way! On that note, I have more organizing to finish! Ways to Survive Until Paper Gods: 12 Days to Go! Personally, I have gone back to those insights and official articles more than once since I have heard the songs off of Paper Gods. It helps me to reach greater understanding of the songs, as well as, in many cases, helps me to appreciate them better as well! Good luck to all of you! Hopefully, this suggestion helps you get through your day and gets you one day closer to the new album! Ways to Survive Until Paper Gods: 13 Days to Go! Have you ever taken a long road trip? I used to routinely drive about 8 hours from my home in Madison to my parents’ house outside of Detroit. I developed a pretty good system with toll money at the ready, tunes in the car, specific places to stop and more. I was always rather content when driving despite the usual traffic around Chicago and the potential for lake effect snow around Northwest Indiana and Southwest Michigan. Yet, the same thing always happened to me. Once I hit the last 30 miles or so of the trip, I thought I was going to die. I needed to get out of the car. I began complaining about being tired, being bored, that my back hurt, that the temperature in the car was wrong. Basically, I was restless. Very restless, indeed. I knew that I was close and I just wanted to be there RIGHT NOW. I suspect a lot of Duranies out there have this exact same feeling in regards to the release of Paper Gods. Many fans were cool, calm and collected the entire time between the release of the last album, All You Need Is Now, and this one. They had faith that Duran Duran was taking the time they needed to create a masterpiece, to create a fabulous album. Even once information came out about the album, including the title, the song titles, the release date, and more, many fans were cool. Yes, of course, they were anxious for the album, but it still seemed so far away! Yet, clearly, it isn’t so far away now! The entire fan base has been able to hear five tracks off the album and now, they are seeing a daily countdown from Duran Duran on social media that looks like this. This, of course, is a reminder that we are in the final stretch, people! After all the waiting, the wonderings, the discussions, the rumors, the speculations, everyone, everywhere will soon be able to hear the entire thing! It is like we are 30 miles away from our destination after driving for 400 miles or more. We can see the finish line. We are so close that we can practically taste and smell it. We figured that many of you out there might be feeling pretty restless right about now! Therefore, we came up with some ways to survive this countdown, to survive until Paper Gods is officially released! Each day, we will be presenting a different idea of how to harness that restless energy that you might be feeling. Today’s idea is a simple one, but one that will carry over each day until September 11th. Since the band has released 13 studio albums before Paper Gods and because there are 13 days to go, you could and should listen to a different Duran album each day. I recommend listening to them in order. Today, then, we would start with the debut, the self-titled first album. Tomorrow, then, I will post Rio. Monday, Seven and the Ragged Tiger will be posted, etc. 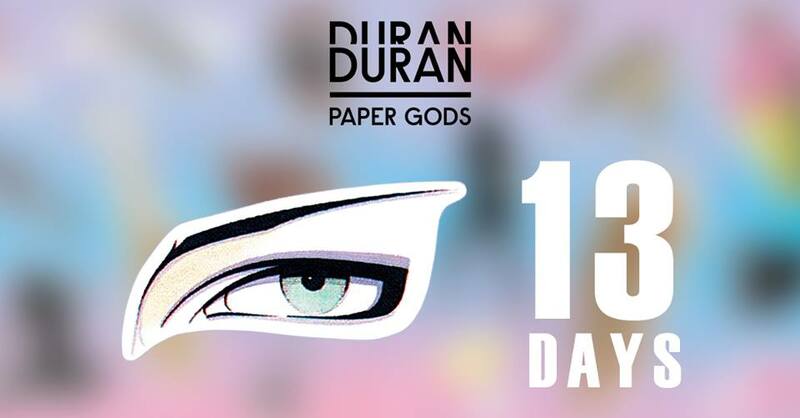 Here’s hoping our little countdown helps you survive the last 13 days and get yourself ready to hear Paper Gods!!! It is Duran Duran Appreciation Day! Wait…no, that isn’t right!?! Duran Duran Appreciation Day is in August. Since Rhonda and I are sorta big Duran Duran fans (Ha! We do a daily blog—I guess that is pretty obvious, huh?!) and have typically done something special for Duran Duran Appreciation Day in the past, we figured we should do something this year, too! Let’s review what we have done in the past before I explain a little bit about what we plan for this year! We did a number of things to celebrate our international holiday last year. First, we did our first ever video blog or vlog, if you prefer, which you can see here. Second, I compiled a list of what Duranies love about Duran Duran, which you can read here. The best part of what we did was hold a Sing Blue Silver online viewing party with an accompanying drinking game, which you can read here! As you can see, we did a lot! For the year 2013, the focus was on the music and live performances, which you can read here. Unfortunately, the videos that went with the blog did not survive one of our blog transfers. For 2012, I wrote a blog outlining what I really appreciate about Duran Duran, which you can read here. In 2011, we did a three part series, which discussed why we have chosen to stay in the fandom for as long as we have. (Can you ever really imagine us leaving?!?) You can read the parts here: Part 1 (Why Rhonda stayed), Part 2 (Why Amanda stayed), and Part 3 (Why other fans stayed). We have a couple of things planned for this year. First, we are bringing back the 30 Day Challenge! We did this once before in 2011 ( a looooooong time ago!) and thought it was time to bring it back! The 30 day challenge is simple and we hope that everyone participates!!! Each day, we will ask a question of Duranies on social media. Each question requires a simple answer to tell us what YOU think. 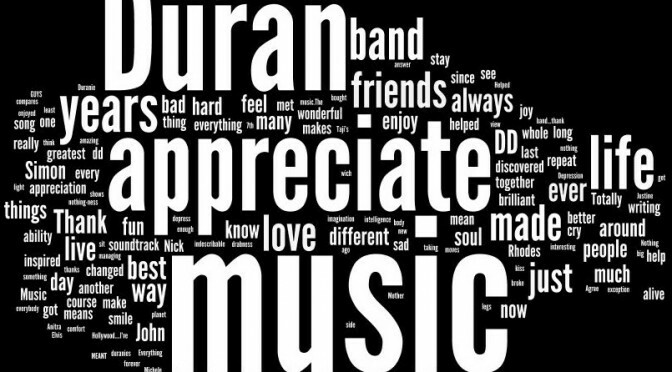 I will then compile the list of responses for Duran Duran Appreciation Day, in order to get a sense of the variety that lives within our fan community. For example, today’s question that will be posted is: What is your favorite Duran Duran song? I will then record each answer and organize the list for the actual holiday! The other thing we are planning on doing is the online viewing party again! One thing, we heard last year is that not everyone could participate due to time zones. We, obviously, want everyone to participate so the plan, as of right now, is to put together a playlist on our YouTube channel. The playlist will obviously be long enough to accommodate every time zone! A starting time will be given for each clip on the playlist so that people know when they can jump in and participate. The goal would be to discuss what is being viewed on social media and to get Duran Duran and Duran Duran Appreciation Day trending as much as we can! Perhaps, some clips on the playlist will be emphasized due to popularity in the fandom and there may be a drinking game included as well. If you have suggestions for what YOU would like the fan community to watch, let us know! We look at the plan this year as a way of celebrating Duran Duran for a month before really celebrating them on the actual holiday! We have gotten far too serious. It’s time for a little fun, Duranies. This weekend is Valentines Day, and thanks to the creativity of a couple of fabulous Duranies out there (Hi Karen & Krista! 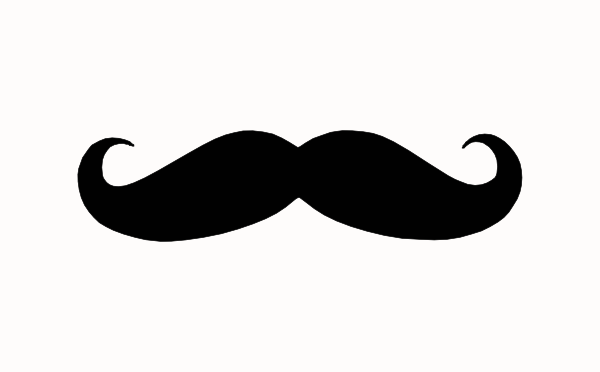 ), we have an activity that we think you’re all going to want to take part in.